It’s a simple fact that today’s youth face an extensive addiction to technology. A flood of information washes over them every day, which isn’t necessarily the problem, nor is it always a bad thing. Today’s children can learn some really amazing things that prepare them for the future using this technology. But it’s no surprise that many kids don’t even spend a half hour outside each day when the outdoors has to compete with the latest video games. With summer approaching that needs to change…we need to get our youth outdoors. We can do that by using archery games and bowhunting education to entice our youth outdoors and get them involved as new hunters. But many people ask why it’s even an issue, and why they should bother taking time to introduce their youth to bow hunting in the first place. The simple answer is that it’s a healthier lifestyle. Youth bow hunting keeps them outside doing physical activities instead of sitting on their rear end watching a screen for hours. Multiple studies have proven that today’s office workers suffer from several physical and mental ailments, including posture problems, hip joint tightening, and eye strain, usually because they sit motionless in front of a computer screen for 8 hours a day. Getting your youth outdoors doing physical work will set them up for success. But beyond that, it’s important to teach your child a real skill that they can use forever. If your family values wild game meat and conservation, your kid will most likely value it someday down the road, if not already. Equipping them with the skills to participate in the conservation process and fill their freezer with fresh and wild protein is something that they’ll appreciate for the rest of their life. So now let’s dive into some archery games that you can use to spend some quality time with your children, while teaching them bowhunting education. To effectively compete with today’s video games and social media, an activity needs to be engaging and interactive. While teaching them these archery games, you need to show your enthusiasm and make it as fun as possible, while still teaching respect for the weapon. Bow safety needs to trump entertainment, but there are ways to incorporate the fun too. 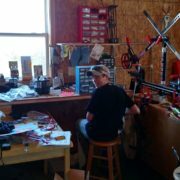 Getting the whole family involved and dedicating time for practice and competition is one way to accomplish that. 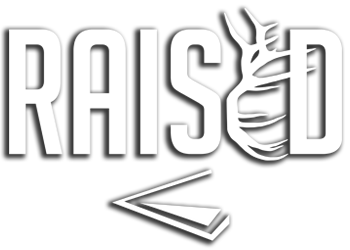 Another way to introduce and keep your youth outdoors is to register your child for an upcoming Raised at Full Draw (RAFD) youth hunting camp. Outdoor youth programs like RAFD allow them to practice their archery while being surrounded by their peers in a friendly environment. Through outdoor team building games and applied practice, youth participants learn quickly and have a lot of fun. 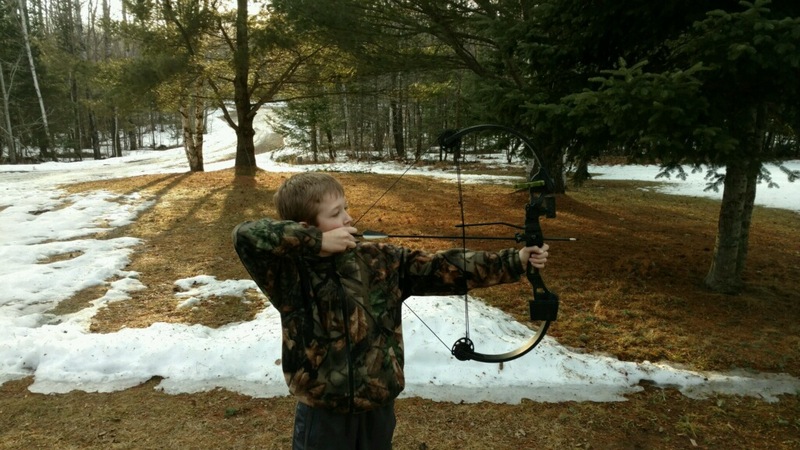 One of the easiest ways to get kids engaged in outdoor archery shooting games is to let them shoot at ultra-realistic 3D targets. They are available in so many forms, from elk to bear, and even include dinosaurs or aliens. If it will keep your kid engaged and wanting to practice more, try to cross the video game barrier by investing in some fun targets. Video games help kids use their imagination by letting them experience a different reality. After a day of shooting Delta McKenzie big game animal targets or aliens at 3D bow shoots, they’ll definitely be more likely to continue instead of reaching for the game console controller. If you don’t want to buy targets yourself or don’t have the space to shoot at them, bring the family along to 3D archery courses, which you can find at an increasing number of places these days. These ranges usually have some amazing targets and are an easy way to have fun with your kids. If they’re just starting out, you may want to go on an off-day so there’s not as much of a crowd. Another fun archery game is a twist on the pen-and-paper version. 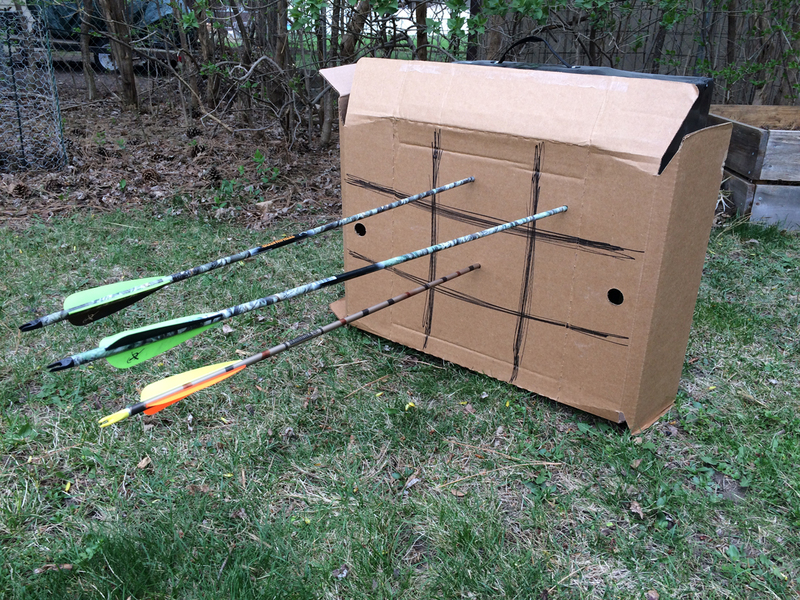 Simply tape a piece of cardboard or paper to a target and draw nine squares (three high by three wide). Take turns with your child (or have your kids take turns) shooting Gold Tip arrows at the board. They should have different colored fletching to make things simpler. When an archer hits within a square, they have claimed that square, and the objective is to get three squares in a row (horizontally, vertically, or diagonally). If someone shoots into a claimed square, they should shoot again until they claim a new one. Archery shooting games like these take an outdated game like this and turn it into something fun again. They also challenge your accuracy when you have to pick a single square. As far as archery games go, this is one of the simplest. Blow up several balloons (aim for 5 to 10 per player) and tape them to a target or similar backdrop. You can either do time trials individually or a live shootout. For time trials, each player takes their turn shooting their Bear Archery youth bows. The goal is to shoot all of their balloons in the shortest amount of time. This game can be done with competition or against yourself. The player with the shortest time wins that round. You can also do a live shootout, where each player has their own balloons on their own target, and the first player to shoot all of their balloons wins. Balloons are cheap, so this is a very simple option. You’ve likely played this game before, but on the basketball court, not at an archery range. The concept is the same. Each player should take turns, with the first player of the round determining the type of shot that everyone must complete to continue. For example, one player might decide that everyone needs to shoot at 30 yards, with the target quartering away. If the players don’t put an arrow in the circle or vitals, they earn the first letter ‘H’ and continue in this fashion until they have spelled “HORSE.” At that point, they lose the game. This is a great game to play at a 3D archery range since there are multiple types of targets and different shot opportunities. The next game can be called whatever you want, but the idea is to challenge a shooter’s distance ability. Start at 10 to 15 yards from a target, and take turns shooting. Everybody who keeps their arrow in the designated zone can proceed to the next distance. Move out away from the target in 5-yard increments. Whoever stays in the competition the longest is the winner. This is a useful skill if carried out over time because it extends your maximum effective distance under pressure, which is critical for hunting. For that reason, it’s really one of those outdoor games for all ages. As you can see, it’s pretty easy to turn routine archery practice into fun archery games without much work. The most important thing is to stay excited about and involved in the games with your kids so that you can all challenge each other. A family that shoots bows together stays together, or something along those lines, the lasting importance here is getting and keeping our youth outdoors!